The ultrasound tech wondered why I said that, and maybe you wonder too. This post is everything you need to know about why having an anterior placenta is stupid. First, let me explain what an anterior placenta is. The typical placenta attaches itself between mom and baby but an anterior placenta attaches itself to the front of a woman’s uterus. Every time I was pregnant I had an anterior placenta. So, if you came up to me when I was pregnant and rubbed my belly and started talking to the baby, you were in fact introducing yourself to my placenta and not the baby. Anterior placentas are in the front of the uterus, right in between baby and the belly button. Is an Anterior Placenta Normal? The typical placement of a placenta is in the posterior position, not anterior. However, it is not abnormal to have an anterior placenta. An anterior placenta is a normal abnormality! Will an Anterior Placenta Move? No, an anterior placenta won’t move. Once the placenta is implanted it will stay where it’s at. Once an anterior placenta, always an anterior placenta. However, for future pregnancies a woman could have the placenta implant in a different location altogether. The following are some risks, complications, and stupid/annoying things that go along with having an anterior placenta. One of the reasons why anterior placentas annoy me is that it makes it extremely hard to hear baby’s heartbeat with a fetoscope or pinard horn in your second trimester. What is a Fetoscope or Pinard Horn? A Pinard Horn or fetoscope are like stethoscopes, but used primarily to hear fetal heart tones. It’s not invasive, doesn’t use ultrasound like a doppler, so anybody could use it without having to have a medically indicated reason. However, since my placentas were always in the front I was never able to hear my baby’s heartbeat with my fetoscope. Instead heard my own pulse loud and clear. I was hearing my placenta! When Can I Hear My Baby’s Heartbeat with an Anterior Placenta? A big reason an anterior placenta can be frustrating is because in the first and some of the second trimester it could cause your care provider to struggle to find baby’s heartbeat with a handheld doppler. Because baby is still so small and the anterior placenta is in front covering baby, hearing baby’s heartbeat may not be possible. Nothing is worse than waiting for your care provider to try to find the heartbeat. Even worse is when they’re not be able to find it! Typically, when this happens mamas go into “worse case scenario mode” and assume the worst. However, the inability to hear a heartbeat with a doppler in the first and some of the second trimester is not uncommon. This exact scenario happened to me right around the end of the first trimester when I was pregnant with my daughter. Instead of sending me on home and trying again in four weeks, my midwife was kind and sent me to get a quick ultrasound. When Will I Feel Fetal Movement with an Anterior Placenta? Another reason anterior placentas are frustrating is because it will typically take longer to start feeling fetal movement or quickening. On top of that, when women finally begin to feel movement, it can often be dulled compared to what other women may be feeling. With an anterior placenta you might not feel movement WELL into your second trimester. This is frustrating, but normal! With one of my anterior placenta pregnancies I started feeling movement at 16 weeks and my husband felt baby kick at 19 weeks. For me I don’t think having an anterior placenta impacted feeling fetal movement. I did notice, however, that I only felt movement down low and to the sides, which makes sense because the placenta was cushioning any kicks I may have otherwise felt with a posterior placenta. Is It Harder to Determine Baby’s Position with an Anterior Placenta? Another reason I’m not a fan of anterior placentas is because I always look forward to figuring out my baby’s position (aka belly mapping) and an anterior placenta makes it a bit more difficult. Because there’s a placenta in the way, an anterior placenta makes it more challenging for moms to figure out their baby’s position. Will an Anterior Placenta Make Labor Longer and More Painful? A quick google search will reveal that some people believe OP babies are more common with an anterior placenta. Uh-oh! An OP baby is the occiput posterior position (head down and facing mom’s front). The optimal position, however, is occiput anterior which is head down and facing mom’s back. Having a baby in the optimal position makes labor shorter and less painful – a good thing! If babies with anterior placentas are more likely to be in an un-optimal position, it makes sense to think that anterior placentas cause harder, longer, and more painful labors. Not good! After consulting the Spinning Babies website I’ve concluded that no, an anterior placenta doesn’t necessarily mean baby will be in an un-optimal position resulting in a longer, more painful, and complicated birth. Especially if you apply the 3 principles of spinning babies to your pregnancy! Balance your uterus. 1-5 short inversions per day and the rebozo are your friend. 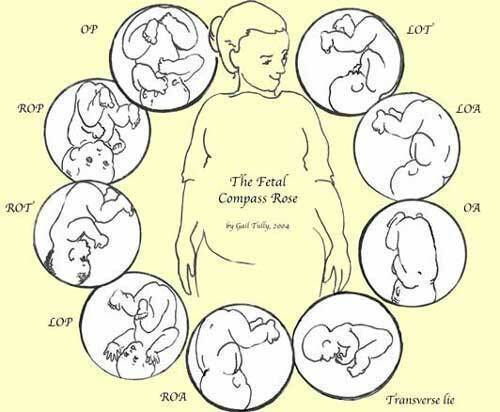 Apply gravity using maternal positioning. Couches and recliners are for wimps! Move the mother. Pelvic rocks, swimming, and more inversions. A good time to start implementing these things is around 20 weeks. Pregnant women should be doing daily inversions, stretching, pelvic floor exercises, gentle prenatal yoga, psoas exercises, brisk walking, and swimming! The Daily Essentials video by Spinning Babies is probably the best resource I’ve found to prepare you and your baby for a less painful and more empowered birth experience. SIDE NOTE: I gave birth to my daughter one day before her due date. Her labor was straightforward and I had no baby positioning problems or placenta problems. Everything went great! Will I Need to Have a Cesarean Birth Because of My Anterior Placenta? A diagnosis of an anterior placenta in and of itself is not a medically indicated reason for a cesarean section. In English – No, you won’t need a cesarean because your placenta is anterior. Other placenta issues like placenta previa (where the placenta covers all or part of the cervix – not an emergency but you obviously cannot have a vaginal birth if the placenta is still covering the cervix at 40 weeks or full term), or placental abruption (where the placenta becomes partially or completely detached from the uterus – AN EMERGENCY!) would definitely be reason to have a life saving cesarean birth. Will I Have a Bigger Belly with an Anterior Placenta? Nope, your belly shouldn’t be any bigger with or without an anterior placenta. Every pregnant woman has the same stuff in her uterus, it’s just arranged differently! Does Having an Anterior Placenta Mean Boy or Girl? As fun as it would be to confirm that there are more boy or girl babies associated with anterior placentas, it’s just not a thing. Sorry! Is an Anterior Placenta Bad for Pregnancy and Birth? In conclusion, an anterior placenta is not bad for pregnancy and birth. It’s a normal abnormality and no cause for concern. Hi uterus sister!! 🙂 thanks for the info. brillinat info loved it but what does OP stand for?? Omg!!! Im going through this now and after two muscarriages i hate not being able to feel baby move!!! I too have anterior placenta and its my first pregnancy like this!! I have 4 kids and none like this!! I stay worried and pray deeply all the time because i also lost a baby at 16 weeks as well. I’m trying to stay positive. 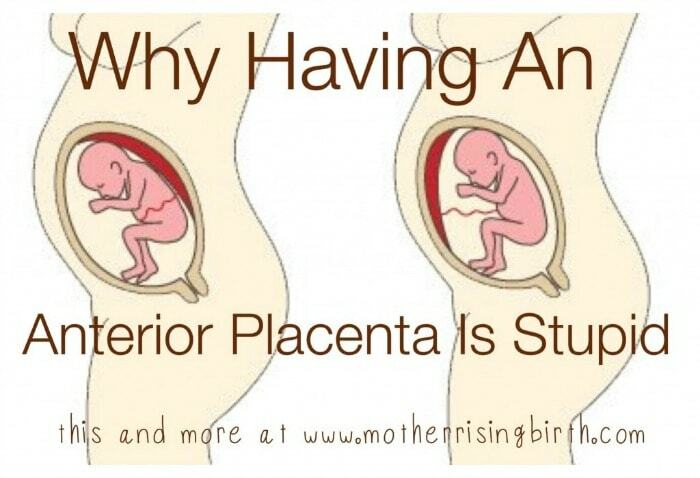 I agree, anterior placentas are stupid (but okay as long as they are doing their job, right?). I had all the same “symptoms” as you, not cool for a third baby when I thought I knew what to expect. I am really worried about having an OP baby, time to start Spinning Babies work! Does having an anterior placenta mean that I am more likely to have back labor? This is my third baby. With my second I had anterior placenta and I had horrible back labor. Thank you i am high risk and have an anterior placenta this is my forth pregnancy an all my babies have felt stronger than this one ive been a ball worries. How far along are you? I’m 16 weeks and a ball of worries like you. I hate the first half of pregnancy because of all the unknown and waiting. I’m 22 weeks with my 4th and have only felt occasional little flutters. I was fine with this because it’s what I experienced with my last pregnancy. But when my midwife couldn’t find the heartbeat on Tuesday with doppler (my placenta is anterior also), I’m driving myself crazy! I’m starting to wonder if I’ve even felt anything lately. The logical explanation is that I have a kick-absorbing placenta in the way, the baby is probably hiding deep inside, and within a couple weeks I will be fully reassured. But of course my mind is thinking the worst! Where did you position the Doppler? I found out yesterday at my 20 week ultrasound that I have an anterior placenta. And yes I agree that its stupid….. just because I want to feel my baby move. I’m jealous of other mammas that feel constant movement. This is my 3rd baby and first time having to wait so long to feel much movement. I have felt baby move a few times here and there, but they are dull movements and seem to happen maybe once a day or every few days. The ultrasound tech said it may be another 3-4 weeks before baby is big enough to be get more. Not great news for the worlds most impatient person lol. April — I completely relate! I’m 23 weeks with my 4th, and I’m just now feeling more consistent, undeniable baby movements. But it’s either very low in my pelvis or in my ribs or in my hip area. I swear, that placenta truly is a pillow in there! I was planning to get an ultrasound this week to calm my paranoia, but the movements are finally detectable. Hang in there. I know how that can drive even an experienced mamma nuts! Oops, should have addressed it to Laura, not April! I had an anterior placenta with my last baby and with my current pregnancy. With my last baby I was very rarely able to feel him move. Even up until he was full term. It was quite concerning, honestly. And my husband was never able to feel his movements like he’d been able to with my previous pregnancies. This time around I am feeling more movement, I’m guessing that is due to the placenta being in a bit of a different location even though it is still anterior. I agree, anterior placentas are stupid (but okay as long as they are doing their job, right?). I had all the same “symptoms” as you, not cool for a third baby when I thought I knew what to expect. i had Anterior Placenta with my twins, both placentas were anterior. I felt maybe 4 movements the entire pregnancy but then I also had polyhydraminos (excess fluid) and had that drained twice. I started medications to slow contractions at 20 weeks, My twin A was transverse breech and off to c section we went at 31 weeks when my water broke and labour couldn’t be slowed/halted any longer. I am incredibly grateful to have my two alive and well and driving me crazy as 7 year olds. But I will admit happily that being pregnant was the most stressful time of my life but worth every non peaceful moment. It doesn’t matter how your babies are born what position they are/were in the only thing that matters is holding a breathing baby or two or three and knowing you did it! I am 21 weeks and just found out I have an anterior placenta. My question is about if there is any research about the implantation location. Are there reasons why an egg would implant in the anterior vs posterior position? Why do eggs usually implant on the back of the uterus? I had an anterior placenta and at 33 weeks experienced a horrible heartbeat scare due to a panicked midwife and then went on to have the healthiest of babies. However my status as an anxious person was tested for the remainder of my pregnancy despite logically knowing baby had a superb heartbeat the whole time. Curious if I were to get pregnant again if my anterior placenta the first time was completely random and I might have “normal” implantation in the future. If there is, I haven’t read it. Can I offer you some unsolicited advice? I think instead of focusing on what’s out of your control (where the placenta is located) focus on what you can control (your thoughts, attitudes and actions). 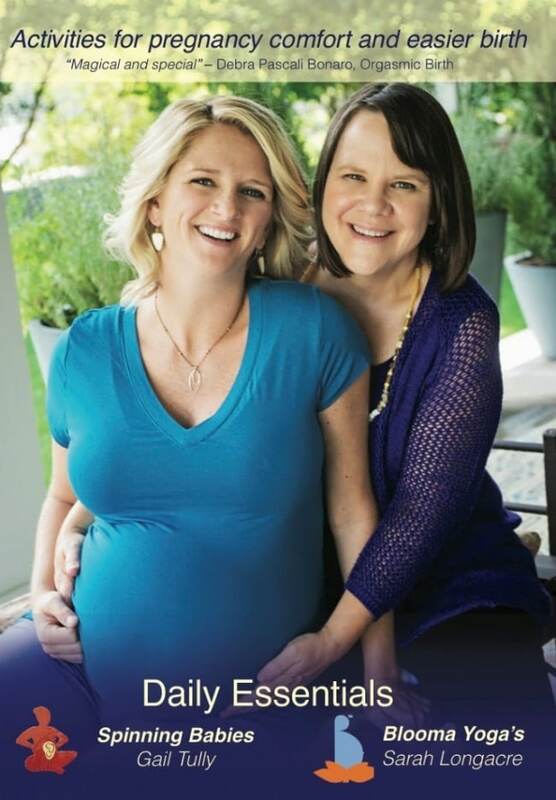 Look into pregnancy affirmations for your next pregnancy. I think it would help tremendously. There isn’t a ‘normal’ place for the egg to implant. It normally floats around in the uterus for a couple of days once it gets to the uterus from the fallopian tubes. I think it has a lot to do with how your uterus grows and expands. Mine started off Left Lateral (left side) at 8 and 10 week scans, but at the 20 week scan it was anterior. It’s also why they only get concerned about placenta praevia (over the cervix) in the third trimester. There is a reasonable chance that as your uterus grows the placenta will naturally move higher. I’m 23 weeks pregnant with twins. Both placemats are anterior. I agree that it is stupid! I really wish I could feel them move more around the center. I work with perinatal loss parents and not being able to feel movement all over is really making me paranoid. I want to try spinning babies to get their positions better for north and for my own comfort. I was a bit out off by the statement that recliners and couches are for whimps. For weeks now I have only been able to sleep in a recliner. I start off on my side in bed every night but find it difficult to breathe or get any comfortable position. These babies need me to get sleep so I’m healthy. I am by no means a while and carrying twins has been an incredibly hard adjustment while also making me feel like superwoman. There are lots of ways to have a healthy pregnancy and delivery, and what works best for you, your practitioner and your baby (or babies) is what is best. Ha! Placemats! Should be placentas. Silly autocorrect. Every single reason you have given was selfish and ignorant. Being pregnant isn’t about you, but it’s about the health of your child. You should be thankful you were given the opportunity to have a healthy baby as some are stripped from that privilege. You cannot “make the best choices for you and your family” or any choices for that matter on the location of your placenta or what to do about it later. Years prior, ultrasounds werent as advanced as today, let alone have moms own a fetalscope to hear their baby’s heartbeat whenever they felt like it. I work in the medical field as an ultrasound tech and you are so ignorant. Throwing medical terms around doesn’t make you an expert. I’m sure every child of yours was born healthy. You’ve never experienced a child with congenital anomalies, seeing them on vents in the hospitals for months barely hanging on to life. Those moms are thankful to have their baby for one more day. Seeing them wheeled off to surgery, their life in the hands of someone else. Be thankful you have your children, I feel sorry they have someone as ignorant as you for a mother. Wow how rude. I’m an ultrasound tech as well,Doesn’t make me smarter than anyone else tho. She was harsh when it wasn’t needed, people like her ruin blogs and everything with their negativity. If you have nothing nice to say , don’t say anything at all…thought the blog was good. I have anterior placenta as well. So far I haven’t got to feel any movements but hoping in the next few weeks I will. I agree! How negative and rude! Many of us are first time moms and curious about learning what anterior placenta means for us. Just because we are worried about our own pregnancies does not mean that we don’t have empathy and compassion for those who have experienced infertility or loss. The two are not mutually exclusive. I appreciate this post so much! Just found out about my anterior placenta at 19 weeks, but I swear I have felt movement! Especially when I accidentally roll on to my stomach at night. She pushes off and doesn’t like it! One horrible thing I’ve been experiencing though is (what I assume) is a gas or air bubble? It causes a crazy cramp for about 30 seconds then goes away, but it’s really scary! My wild and frustrating imagination convinces me that the pain is from her ripping herself from my womb. (I know. I can get dark.) has anyone experienced this kind of gas/cramping? Thank you again for this funny and informative post. I really enjoyed it. Wow, you are something else! She didn’t say she had a horrible pregnancy. She was stating an opinion of why she didn’t like something. And yes, a pregnancy is about the health and well being of a baby however it has a lot to do with the mother as well. To bash her about being a mom and mentioning her kids is just sour. Thought you might be interested to know there is a medical condition in which anterior placenta placement is actually idel and even prefferable. I am isoimmunized. Basically i am A- negative blood type, husband is A+ and all our babies are thur A+. Unfortunately this means all our babies have an antigen marker on their red blood cells (+ as in positive for D antgen, i am – as in negative for D antigen) that i do not, and when i was somehow exposed to my babys blood I began creating antibodies to fight off what my body saw as a pathogen. In short: my immune sytem seeks out and destroys my babies red blood cells. This means my baby becomes anemic and needs more. Thanks to my anterior placenta, the job of sticking a foot long needly into my belly to get to the babies cord was no biggy. They were able to go through the placenta, rather than through free floating amniotic fluid which would have meant much higher risk to baby! So i say, thank God for anterior placentas and i pray i have one in every future pregnancy! This is an awesome comment – thanks! I have the antibody thing also and my last pregnancy they had to go through the fluid to do the blood transfusion. This time I was told it is in the front so good news!! Kathryn! I’m O- and have an anterior placenta as well! I didn’t know about this slight benefit and am grateful for any silver linings! 🙂 I don’t believe there’s been mixture of our blood yet but I know those shots or Rhogam are coming at week 28 and post delivery. Always trying to stay positive but nervous as can be. Good luck to all of you ladies! Baby was very active on the ultrasound, so that was a huge relief! Appears I have long legs to push out in the future, but at least those aren’t so bad vs a big head (hope I’m not jinxing myself here). Thanks for taking the time to write this article, Lindsey! I had anterior for my first, and I swear I felt more movement in that pregnancy than in this one with a posterior placenta (so far – I’m just 21 weeks)! I think I just had a super active baby – and she was big, don’t know if that made a difference… but when I delivered the placenta, they said it was really big too! I felt like I might have missed out on the super defined imprints you might see on your belly from baby’s movements if there’s no placenta in the way, but don’t forget that the baby’s activity and size probably plays a big role as well. As for delivery – I was able to give birth to a healthy, 10 lb baby vaginally, and she had been in ideal positioning for quite some time leading up to birth. 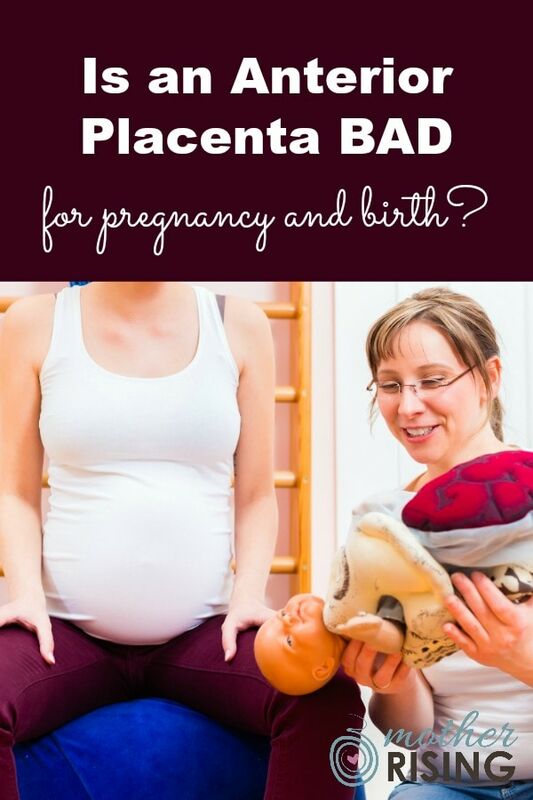 This is obviously all anecdotal, but I feel like placenta anterior vs posterior should only be a concern if your doctor/midwife has an issue with it – one is not inherently bad news, unlike other placenta issues! 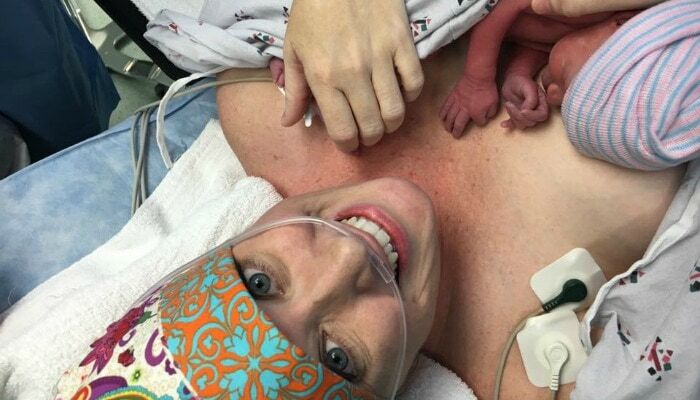 Women have birthed their placentas first or at the same time. It is not a 100% cause for cesarean birth. “Our bodies are not meant to confound nor confuse”- Whapio. Clearly- if it happens then it can keep happening. Placentas are awesome. Please edit your article to reflect accurate statements about birthing placentas first and how they are possible in births! It is incredible! Hi! Did you start doing the spinning babies movements daily at 20 weeks? I want to be proactive about my anterior placenta. Thank you! Thank you for all the info. The name of the article drew me in!! Love that some people can say out loud what we all think. I’m 18weeks found out I have anterior placenta too. Started to research and came across this article.. great info and appreciate it. Today I had ultra sound and the baby was positioned in a ball. Should I be worried? Anyone had experience with this? Baby was all the way over in the womb lots of empty space on the other side. I’m a very anxious person and slightly worrying. They said all was good but is it? Oh my god how stupid is this article? the placenta is ALL AROUND the baby, not just where it is attached to the uterus. I had my dating scan last week (13+3) and my sonographer told me I had an anterior placenta but she also said it would probably move as my womb is still quite closed over… so are you saying different to sonographer, that at 13 weeks if it’s anterior it will stay anterior? She said I still looked quite closed over so once it opens up it should move? First time pregnant so very new to all of this. When you say closed over are you referring to a retroverted uterus? I’ve been assuming an anterior placenta, which was confirmed at my 20 wk anatomy scan today (first u/s of this pregnancy). All my other ones have been back or top of the uterus, and I felt movement early on. I didn’t get definite movement (that I was certain wasn’t gas, lol) until about 2 weeks ago, and it’s all down and to the sides, and so far very muted (though I’m gearing up for extra lightening crotch in the coming weeks, I’m sure. Yay.). I’m really hoping I don’t have to deal with OP positioning during labor, it’s no fun. Will be all over the spinning babies site for the next 20 weeks!